Are you suffering from back pain? Many people rely on medications, but they come with the risk of side effects. Here are the equally effective alternatives that can be a natural help from nature. Chemical drugs are not the only way to quell the pain. Healing herbs can also help to control the pain and improve your well being. Thus below are some more effective home remedies for back pain relief. The extensive research on the therapeutic properties of plant is not much, although it is known that some herbs reduce inflammation and pain. However, herbal products should be used with caution because they can result in unwanted allergic reactions or skin irritation. Initially, treat with ice and then heat. Ice relieves pain suddenly. It temporarily blocks pain signals and reduces swelling. Apply Ice several times a day on the sensitive area of pain, wrapped in a towel. It is also possible to put a bag of frozen peas or corn. In the starting days ice can be placed as often as needed. Later, you may still want to use ice after exercise or any physical activity. After 48 hours select a sore spot for heat treatment. Heat reduces the painful spasms in a sequence. Dip a clean towel in hot water, squeeze off excess water. Apply it to your back, and leave it on until it cools. Repeat the procedure for 3-4 times a day for several consecutive days. Efforts should be made to stand and sit in a posture, which would cause minimal discomfort. So standing up straight on both your feet must be firmly based on the foundation. Initially stretch the pelvis forward then recline back and find a posture that is most comfortable afterwards move to the back. First, find a suitable place in the trunk and then straighten the chest, shoulders and neck consequently. Try to feel that posture is the most convenient and least stress. Then try to keep this same posture while standing, walking on both starting and ending also while performing each exercise. Every morning, before getting out of bed lie down on your back, raise your hands place over your head and make a little stretch. Then one by one pull your knees to the chest. Then place yourself on the edge of the bed and knees placed falling from the edge, slightly elevate the pelvis and lower the feet on the ground. Then stand up put your hands backside below your hip and take a slight recline back in order to stretch the spine. Get a massage on the aching area .You can even opt to get a massage with cream or ointment on your back. However, do it with vigilance because some creams may cause skin irritation after few applications or on a repeated use. You can also fill some tennis balls into a long sock, tie the end and then roll it over your back. Use ointments that containing capsaicin derived from capsicum chillies. This substance activates blood circulation and relieves pain. Bromelain is extracted from pineapple. This enzyme activates blood circulation, reduces swelling and helps the body to reabsorb the by-products of inflammation. Take this food supplements one hour after your meal. There is evidence that valerian is not only calms the nervous system but also relieves physical pain. Hence try a cup of valerian tea the next time you’re in need of pain relief. This herb’s active ingredient causes a little sedative effect. Typically sedatives are not recommended but valerian is a relatively a safe alternative. Add 10-12 Basil leaves to 240 ml of boiling water and add a little salt. Drink this concoction for 2 – 3 times a day. This can reduce muscle stiffness and deplete back pain. Regularly drinking a glass of warm water with honey can get you the positive results. Especially with massaging Mānuka honey on back for 2 to 3 weeks regularly. Teaspoon of turmeric mixed with 240 ml of warm water can help to reduce your lower back pain. Rub your back with the paste mixture of 2 tablespoons of turmeric, a tablespoon of honey and 2 tablespoons milk. The paste must be applied in sore area and later wash between 5 minutes to 8 minutes repeat the procedure 1 – 2 of weeks. It is argued that extremely useful castor, peppermint oil and turpentine can be applied. It is also possible to use a mixture of oils like 4 tablespoons coconut oil, 2 tablespoons of sesame oil, 2 tablespoons mustard oil and 8-10 chopped garlic cloves. This massage can help to efficiently and rapidly quench for back pain. Maintaining a healthy weight and staying fit is definitely a positive step to avoid backaches. As extra weight can stress your back and cause pain. Sleeping on the wrong mattress can worsen the back pain. 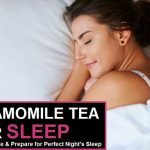 It can add to poor sleeping posture and muscle strains. Hence choose a mattress that provides both comfort and back support and thereby helps to reduce back pain. Are you suffering from back pain? 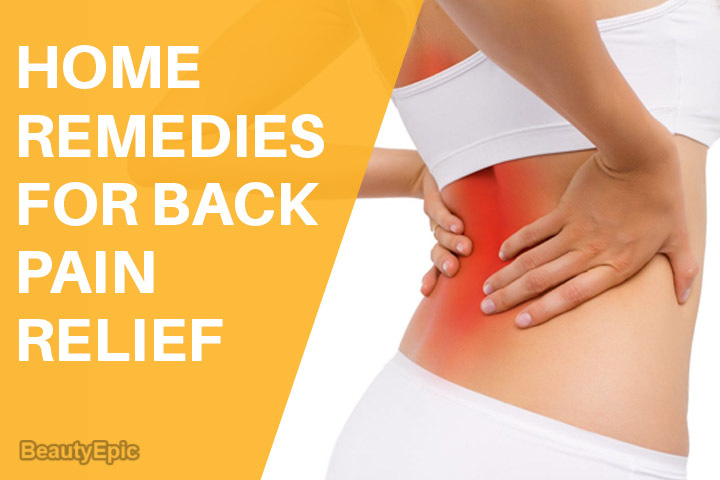 Many people rely on medications, Here are some more effective home remedies for back pain relief.